Wouldn't it be good to try out art materials without having to buy them first ?? Well our Taster Space now allows you the opportunity to do just that, whenever the shop is open. Come along and explore the materials. 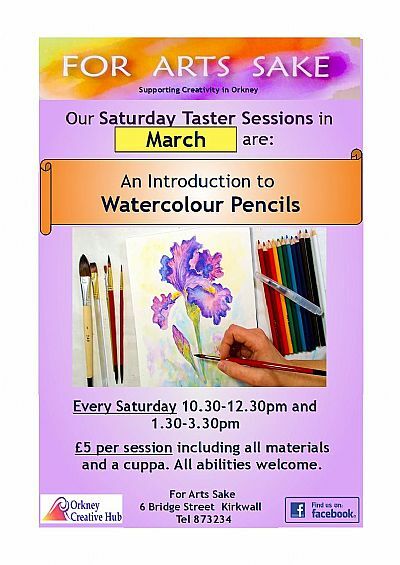 For the month of March we will be offering Saturday afternoon taster sessions in WATERCOLOUR PENCILS. All materials and a cup of tea or coffee provided. The Taster Session programme has been re-instigated under a new structure, we will be giving people an INTRODUCTION TO PEN AND PENCIL, each month we will look at different forms of pen and pencil and demonstrating techniques to improve drawing skills. It will be held each Saturday afternoon from 10.30- 12.30 and/or 3.30 to 15.30. Each month we will focus , or you can bring along your own work. People of all ages are welcome to our Taster Sessions, although if you are under 16 you will need to be accompanied by an authorised adult. If you would like to come you can just turn up on the day. Booking isn’t essential, but if you can give us a call on 873234 beforehand we will have an idea of the numbers attending. Thank you. Whether you live in Orkney or are here as a visitor, you will be very welcome to come along to these sessions and try out the different materials and media. 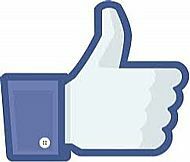 Follow us on our facebook page Like us if you like us!